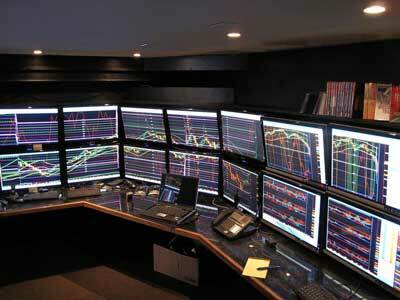 Lifehacker has the photos from an awesome day trader’s set-up, which includes 40 24 inch monitors.There are plans to expand the set-up even further to a total of 60 screens. There are a total of 6 computers that feed the monitors. Yeah, we have no idea either.